"There are hardworking people across our state who are experiencing massive health care premium increases under Obamacare, and that’s unacceptable." MADISON – Governor Scott Walker announced a Health Care Stability Plan today focused on stabilizing rising health care coverage premiums in Obamacare’s individual market. The plan utilizes the 1332 Waiver process, also known as the State Innovation Waiver, under Obamacare to lower premiums for people in the individual market. 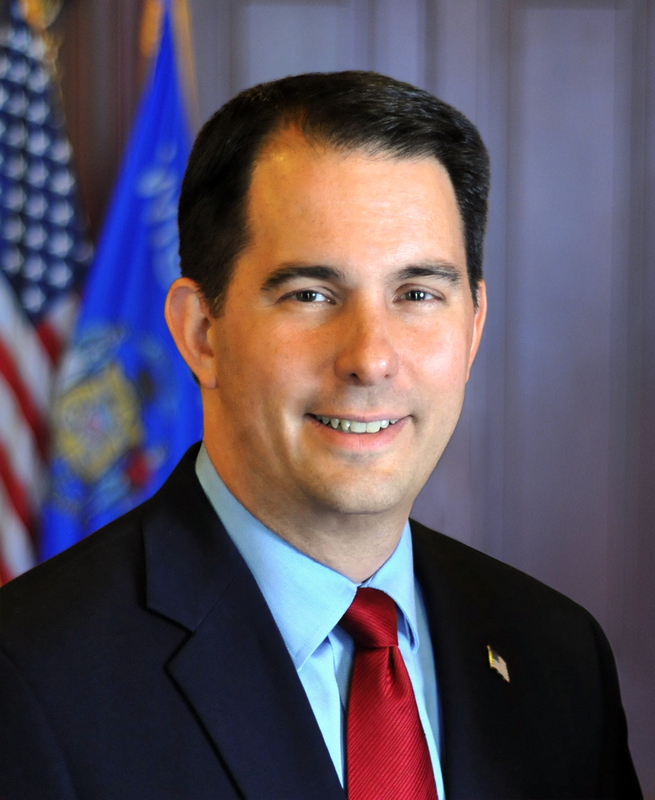 Governor Walker also called on the Wisconsin State Senate to pass preexisting condition legislation agreed upon in the State Assembly and requested a permanent waiver to support SeniorCare, the state’s prescription drug program for seniors age 65 or older. While most consumers receive insurance through their employer, or through government programs (i.e. BadgerCare and Medicare), more than 200,000 Wisconsinites purchase health insurance in the individual market. Many are self-employed, and others may work at employers who don’t offer coverage. But for these Wisconsinites, the individual market is important and it has been failing them. With insurers exiting the market, shock rate increases, and consumers facing fewer choices, the individual market needs to be stabilized. Governor Walker proposes to utilize the State Innovation Waiver process under Obamacare to create a state-based reinsurance program like others that were approved for other states. This is the fastest route to having an impact on the entire individual health insurance market. It will require legislative approval and will use both state and federal resources. Governor Walker toured ProHealth Waukesha Memorial Hospital today where discussed his Health Care Stability Plan, which includes added certainty for seniors and people with preexisting conditions. “Our seniors and those with preexisting conditions also need stability. I’m calling on the Senate to pass the Assembly’s preexisting condition reform to help protect those with preexisting conditions in the health insurance market and for a permanent extension in the SeniorCare prescription drug program, which provides vital assistance for many of Wisconsin’s seniors,” continued Governor Walker. Governor Walker is calling on the State Senate to pass pre-existing condition protection legislation, which passed the Wisconsin State Assembly as Assembly Bill 365 in June 2017. The bill, as amended, prohibits a group health benefit plan from imposing a preexisting condition exclusion or any coverage limitations related to a preexisting condition. It also prohibits a group or individual health insurance policy from taking into account a person’s health status while setting coverage rates. The SeniorCare waiver, which subsidizes prescription drugs for seniors age 65 and older, was originally approved in 2002 and has been extended four times, most recently in 2015. The waiver is slated to expire on December 31, 2018. Governor Walker is requesting a permanent extension on the waiver, which currently serves about 60,000 seniors per month. EVERYONE is experiencing massive increases of costs, covered or not, insurance or no insurance. What the hell is he even talking about? Stop shilling for votes and stop working against the people. Work for All people. Public health care NOW!. It’s an election year so career politician Scott Walker is running around trying to put out fires in the state that HE started!! Don’t be fooled. Walker and the republicans cut education drastically for years but now in an election year, he suddenly proposes raising investments in education? Hhhmmm. Walker and republicans have been lambasting, attacking and cutting healthcare and Obamacare for years, now in an election year, they suddenly support it!? .- His solution is to delay significant projects in the name of lower taxes . Walker is a day late and a dollar short as my grandmother would say. Those of us buying insurance through the marketplace have been paying through the nose sonce he choose to not implement the ACA in Wisconsin. Premiums in Minnesota are 30 to 50 % cheaper. Walker had his chance to stability the premiums in Wisconsin and he chose not to.